Erzulliesta Em-Em Bunyi, to be honest, was supposed to be the next face of Erzullie, but we guess, the Universe had a different plan in mind. 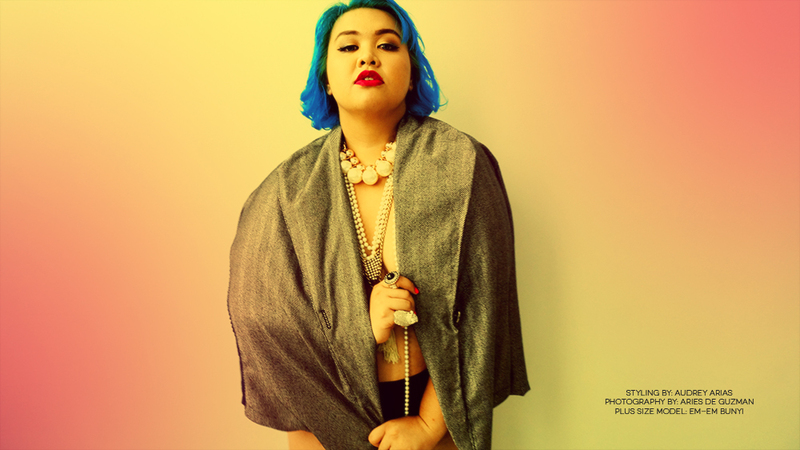 And well, with a plus size editorial like this, who can complain? Just love the beauty of herself here. And yes, it's the combination of the Corporate 2015 campaign, the one I wanted her to be in, and the trails of the previous ones. I just love it. But hey, the hair and fierceness, as unique as Em-Em herself.